12mm compact laminate is the industries newest addition. They have a solid black core with endless creative patterns on the surface. Undermounted sinks and drainer grooves are also achievable thanks to its 100% waterproof material. 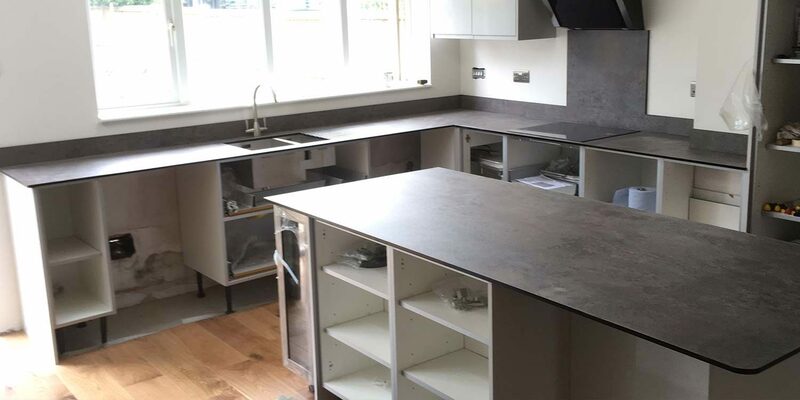 The joints on compact laminate are also seamless much like composite worktops although the surface has a tougher textured feel. Up stands and backsplash are also available to purchase and we we can supply any style you like.